In the real sense of it, IP Address is resulting term from the conjointment of the phrases ‘IP (Internet Protocol)’ and ‘Address’. Internet Protocol (IP) is the principle or method that guides the exchange of data between devices on the internet. IP Address, however, is a unique identifier assigned to every individual device connected to the internet. Think of it like a license plate number, and how two cars on the road cannot have identical plates. In lay words, an IP address is an ID card assigned to a device on the internet by your network/service. And by device, were talking about phones, laptops, smart home appliance, printers etc. There are a couple of tools available to check the IP address of any device. A single Google search of the phrase “What’s my IP”, “What’s my IP address”, “my IP address”, or any other “my IP address” variation will reveal your device’s IP address. However, this method doesn’t reveal more in-depth details about your IP address like the methods below. WhatIsMyIPAddress has an IP address look-up tool that doesn’t just reveal your device’s IP address, it also tells you the location of the device, the browser the device is using to access the internet, the device’s country, region, longitude and latitude, and even show you a geolocation map of where the device is accessing the internet from. WhatsmyIP is another easy to use online tool to check IP addresses. To avoid leaving digital footprints, bypass geolocation restrictions, evade spam and (annoying) targeted ads, circumvent content filters, prevent web tracking and privacy intrusion, and for other privacy-related reasons, many internet users are actively seeking how to hide their internet identity. As said earlier, an IP address is similar to how an ID card works, but this time, for your electronic devices on the internet. And just like physical ID cards in your wallet, you wouldn’t want to hand them over to strangers because they contain sensitive information about you. Out of all available methods of hiding IP addresses on the internet, VPNs are one of the most used, most popular, and most reliable. A VPN not only allows you hide your identity, it provides a secure connection, allows you access restricted websites in different regions, and gives the freedom to choose any decoy country you want people to think you are. Although VPN consumes data to a little extent, and likewise slightly reduces internet speed, it does provide the needed security required by many internet users. Using Public WiFi is only a temporary fix to hiding your IP address — but it does work! However, with Public WiFi, you will only be able to veil your usual IP address, and not other information like your usage location; which means you still won’t be able to bypass geolocation restrictions as you’ll be using the WiFi’s address. You should also know that using public WiFi isn’t the safest option either as it comes with great security risks. 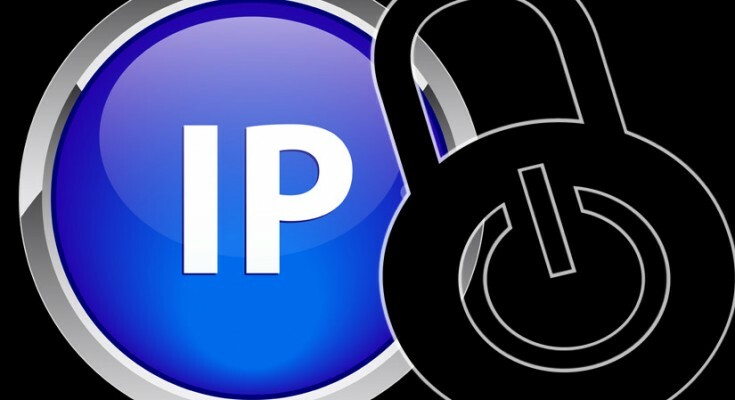 What a proxy server (or proxies) does is to reroute or redirect your device’s through another computer, thereby masking your real IP address with another. While Proxy servers are sometimes confused with VPNs, they sure have their differences and perform almost the same functions in different ways. Proxies have also been identify to slow down internet speed and pose certain security risks. There are certain web browsers that allows users mask their IP addresses while using them. “Tor Browser” is a good and popular example. Opera, for example, has a free VPN integrated for hiding your online identity. For whatever reasons it is, hiding your identity (read: IP address) is totally understandable and sometimes necessary. It could be to access premium contents selectively available to individuals living in another country, or to download/install an app that isn’t available in your country, the above methods will help you identify and hide your IP address.